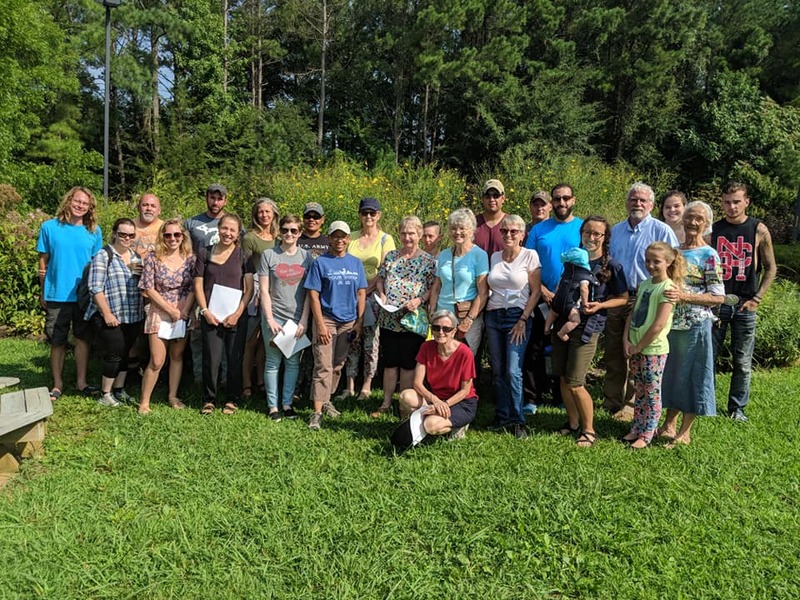 Pollinator garden tour group. Photo by Debbie Roos. Visit the Pollinator Garden website. Tours of the N.C. Cooperative Extension of Chatham County’s Pollinator Paradise Demonstration Garden are led by Agriculture Extension Agent Debbie Roos and are free and open to the public. The tours take place rain or shine and will last about an hour or a little longer depending on group size and interest. Meet on the lawn in front of Chatham Marketplace. Address for the garden: 480 Hillsboro St. Pittsboro, NC 27312. May 8, 2019 (Wednesday) – 10 a.m.
May 18, 2019 (Saturday) – 2 p.m.
May 23, 2019 (Thursday) – 5:30 p.m.
June 4, 2019 (Tuesday) – 10 a.m.
June 13, 2019 (Thursday) – 5:30 p.m.
June 22, 2019 (Saturday) – 2 p.m.
July 10, 2019 (Wednesday) – 5:30 p.m.
July 26, 2019 (Friday) – 10 a.m.
August 13, 2019 (Tuesday) – 10 a.m.
August 24, 2019 (Saturday) – 2 p.m.
September 11, 2019 (Wednesday) – 5:30 p.m.
September 23, 2019 (Monday) – 10 a.m.
October 5, 2019 (Saturday) – 2 p.m.
October 16, 2019 (Wednesday) – 5 p.m. I also do private tours for groups of 10 or more as my schedule permits. This could be Master Gardener℠ volunteers, beekeeping clubs, garden clubs, teachers, schools, etc. Email Debbie Roos if you are interested in scheduling a private tour.